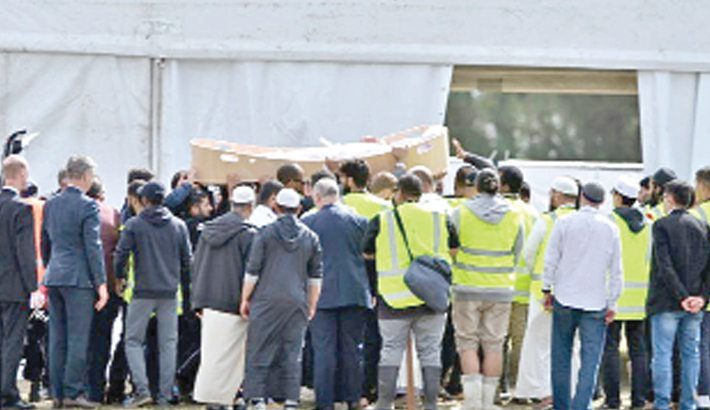 WELLINGTON: The bodies of two Christchurch shooting victims arrived in India as the repatriation process gets underway for foreign nationals killed in the mosque massacre that claimed 50 lives, officials said Monday, reports AFP. The Indian High Commission in Wellington said the bodies of the two had arrived in their homeland and a third was expected later Monday. The relatives of another two Indian victims opted to have their loved ones buried in New Zealand, a consulate spokesman said. The bodies of foreigners killed by an Australian white supremacist gunman in the South Island city on March 15 are only now beginning to arrive back home after delays stemming from the police investigation into the massacre.